▷ Becker Professional 43 Control update. Speedcam for your maps. Download update. Free custom download. 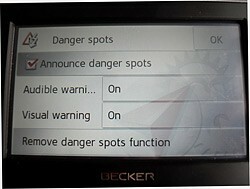 In order to update your GPS device: Becker Professional 43 Control with the latest update, follow next instructions. 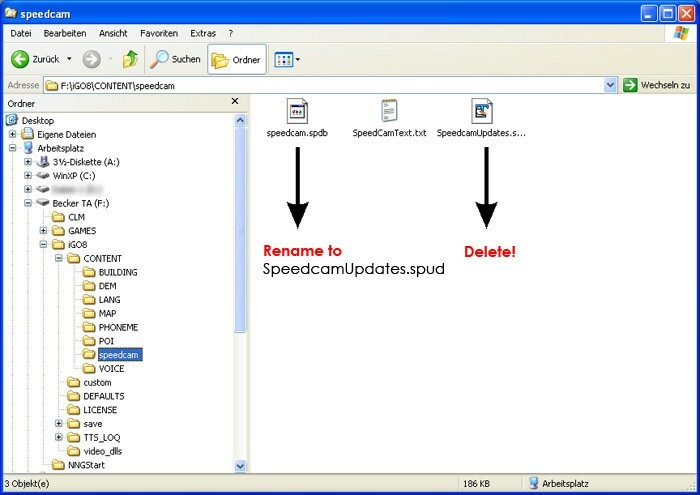 First of all, be sure you got the update file for your Becker Professional 43 Control device, downloaded from SpeedcamUpdates.com. Connect your Becker Professional 43 Control device using an USB cable to your PC. Once your PC has detected your GPS device as an external storage drive open the folder "./iGO8/CONTENT/speedcam". Copy in this folder the files extracted from the zip file before. Once the files have been copied into your Becker Professional 43 Control device, unplug USB cable and then reboot the Becker Professional 43 Control device. Unplug your Becker Professional 43 Control device from your PC. Reboot your Becker Professional 43 Control device. Now, go outside to get GPS coverage. Check that a new menu has been created. 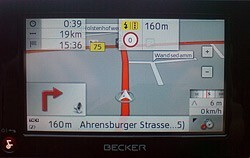 Go to "Settings/Navigation settings/Danger spot" or "Settings/Navigation settings/speedcam". Double check that every option is adjusted to your preferences.